Featured, from left: Dalila Razo, Office Manager, Letty Reyes, Director of Business Development and Public Affairs, and Agustín García, Jr., Executive Director, who are on the staff of the Edinburg Economic Development Corporation, and acting on behalf of the Board of Directors of the Edinburg EDC, on Monday, February 13, 2017, present a $15,000 check from the Edinburg EDC to Letty González, President, Edinburg Chamber of Commerce, to help with the 49th Annual Fiesta Edinburg. Fiesta Edinburg will run from Thursday, February 23 to Sunday, February 26, 2017 at H-E-B Park, located at 1616 S. Raul Longoria Road. More than 15,000 local residents and visitors from as far away as San Antonio, drawn by two evenings of outdoor music concerts headlined by national and international stars, along with four days of one of the country’s top-rated carnivals, could set a record turnout for the 49th Annual Fiesta Edinburg on Thursday, February 23 through Sunday, February 26, 2017, reports the Edinburg Economic Development Corporation. “I believe we will break our records, and typically, we average 12,000 to 15,000 visitors for the four-day event, but with concerts, the carnival, the new venue, and the parade, we should surpass that figure,” said Ronnie Larralde, Director of Marketing and Special Events for the Edinburg Chamber of Commerce. “We have been promoting this event since December, and it has created the biggest buzz. Their is great entertainment coming, there has been a lot of promotion for our city, and it has continued to grow.” Major attractions are the Heart of America Carnival, regional food, arts/crafts plus the top notch musical entertainment, which include Josh Turner, Lauren Corzine, Eddie Sáenz, and The Powell Brothers on Friday evening, and Los Cadetes de Linares de Rosendo Cantú, Zamorales, Notable, and Resplandor on Saturday evening. Individuals may purchase tickets at http://www.hebparkrgv.com. For more information please contact the Edinburg Chamber of Commerce at 956/383-4974. While the combined average of cities statewide in December 2016 showed a 0.9 percent decrease, Edinburg recorded a 1.33 percent increase in its retail economy, according to the Texas Comptroller of Public Accounts. For the month of December 2016, Edinburg’s retail economy – as measured by local sales taxes generated from purchases of eligible goods and services – had the third-best showing among the Valley’s largest cities. That figure is based on sales made in December 2016 by businesses that report tax monthly; October, November and December sales by quarterly filers; and 2016 sales by businesses that report tax annually. 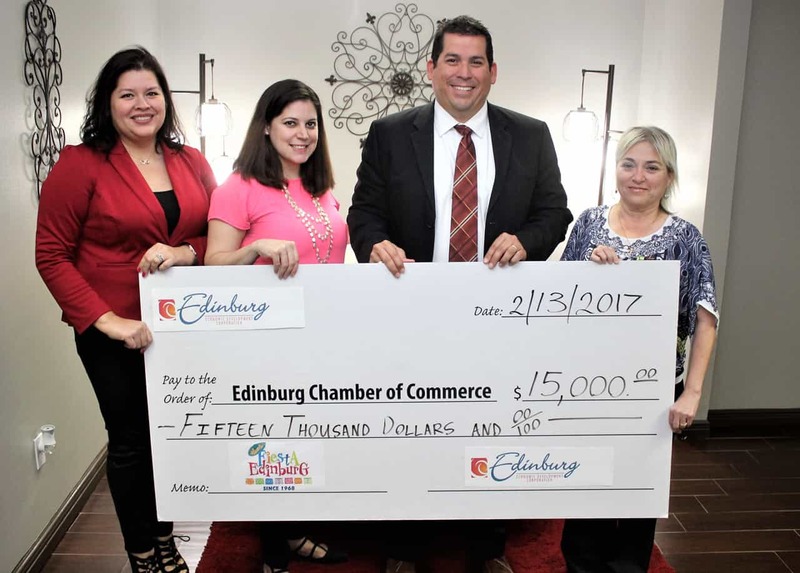 The local sales tax is used in Edinburg to help pay for many city services, while the Edinburg Economic Development Corporation uses its one-half cent local sales tax to help generate economic development in the city. For December 2016, Edinburg’s retail economy generated $2,248,780.54 in local sales taxes, compared with $2,219,178.85 during the same period in 2015, representing the improvement of 1.33 percent, also according to the Texas Comptroller of Public Accounts. Featured: Top images – Two perspectives of the $35.6 million Interdisciplinary Engineering and Academic Studies Building (IEASB), designed by Overland Partners Architects of San Antonio, and to be constructed by Vaughn Construction of San Antonio. Bottom image – the southern portion of the Edinburg Campus of The University of Texas Rio Grande Valley, with the location of the IEASB highlighted in burnt orange for easy reference. With about 53,400 gross square feet of space, the facility will be located in the heart of the campus, west of the Library and just north of the Student Union. The availability of $20 million in state funds to significantly improve the drainage of heavy rains in downtown Edinburg will benefit many residences, businesses, government facilities, residences, and the University of Texas Rio Grande Valley, including its School of Medicine, the Edinburg Economic Development Corporation has announced. The $20 million windfall, part of $400 million in state money budgeted for numerous Texas roadway projects in Hidalgo County, has been made possible as a result of ongoing efforts by the City of Edinburg, Hidalgo County, and the Edinburg EDC to build up the infrastructure for the proposed $150 million Hidalgo County Courthouse, which will built downtown, on the county-owned Courthouse Square. 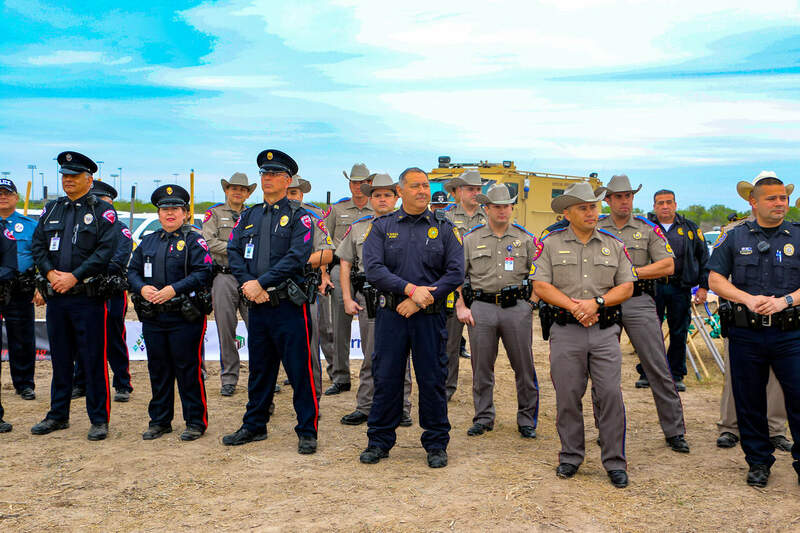 “We are very excited and very happy that along with this great new project ($150 million Hidalgo County Courthouse) that is happening in our city, we have $20 million that is basically being spent in the city of Edinburg for drainage,” said Mayor García. “This money for the drainage will help alleviate decades of flooding in the downtown area, not just on the Courthouse Square, but in areas surrounding the square that have flooded in the past.” Precinct 4 Hidalgo County Commissioner Joseph Palacios, who represents Edinburg, said the state money is being funneled through the Weslaco-based Hidalgo County Metropolitan Planning Organization, which is a federally-funded program that addresses the mobility goals of the cities in Hidalgo County. “We were very fortunate to secure $20 million for downtown Edinburg. This project will focus on road and drainage improvements right at the Courthouse Square, westbound all the way to the main outfall at Jackson Road and State Highway 107,” said Palacios. 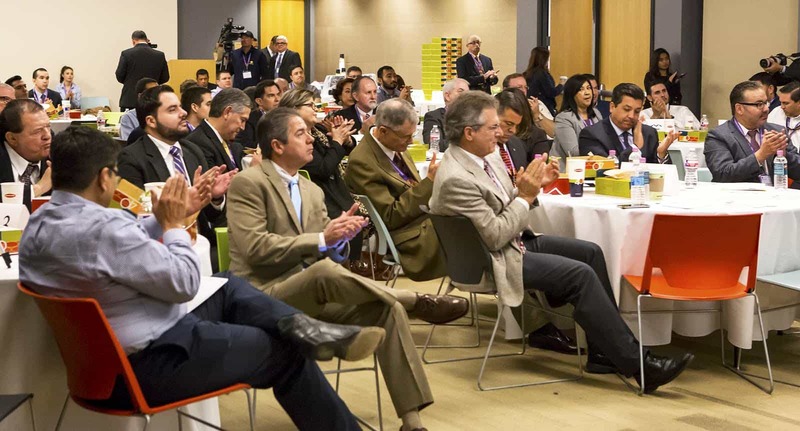 “Beneficiaries of this project are the commercial interests, the city, the university and the Courthouse Square.” According to Hidalgo County Judge Ramón García, the estimated value of the commercial and residential properties that will benefit from the drainage improvements – not including UTRGV or county or city facilities in the area – is estimated at $150 million. The engineering work is already underway, the county judge added. The Edinburg EDC Board of Directors is comprised of Mayor Richard García as President, Harvey Rodríguez, Jr. as Vice President, Elías Longoria, Jr. as Secretary/Treasurer, and Richard Rupert and Dr. Peter Dabrowski as Members. Agustín García, Jr. is Executive Director for the Edinburg EDC, which is the jobs-creation arm of the Edinburg Mayor and Edinburg City Council. Agustín García, Jr., Mayor Richard García and Hidalgo County Judge Ramón García are not related. 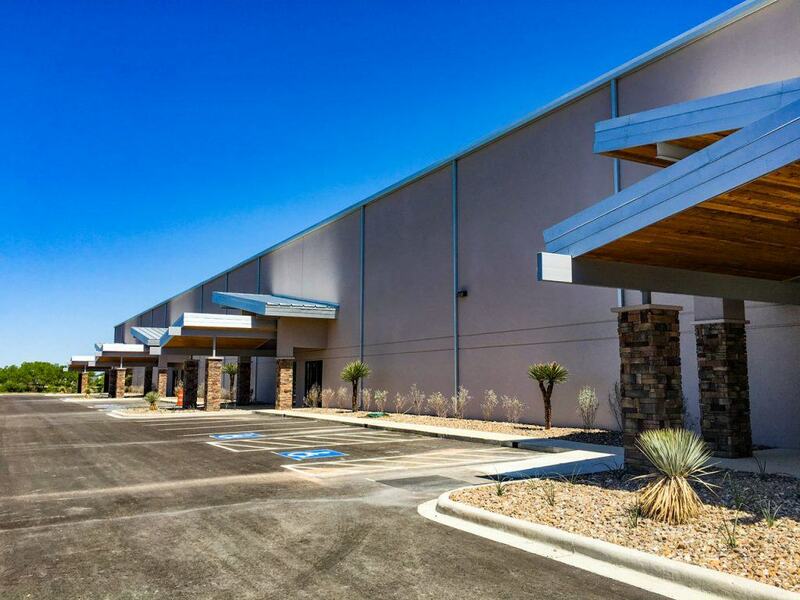 Featured: A frontal view of the 50,000 square-foot building that will feature a Trane dealer sales office and warehouse, which is set to open on October 1, 2016 at the Owassa Lakes Business Park in Edinburg.